Our dear ex-punk rock bass player commented on how they decided to play BHS. 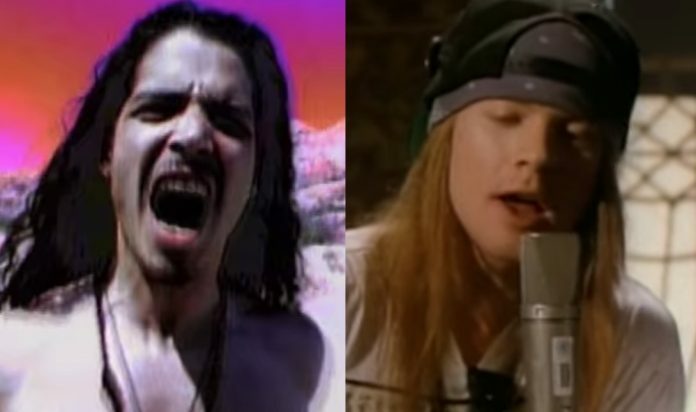 At this point in the championship the last thing we need is GNR playing more covers ... but, anyway ... it's GNR being GNR. Later on that same night, Richard Fortus texted Duff McKagan to inform him that Chris Cornell had died. Wait wait wait... Chris Cornell is dead? Damn! I was a huge Pearl Jam fan. RIP. On the shortlist of worst covers they've done. almost give you a like. you should evaluate the hypothesis of becoming a comedian. About GVT, GNR would not be able to play their songs. Axl's vocals on this one were truly awful. And oh his voice on "Far Behind" and "Cover Me"
Did you just break out Candlebox? They had some jams on that first album. So we know that at least once he went to rehearsal, obviously didn't rehearse though. I even enjoyed maybe 1 tune on the 2nd record. Vulgar before me is pretty good, but Jesus the rest of that album blows chunks.